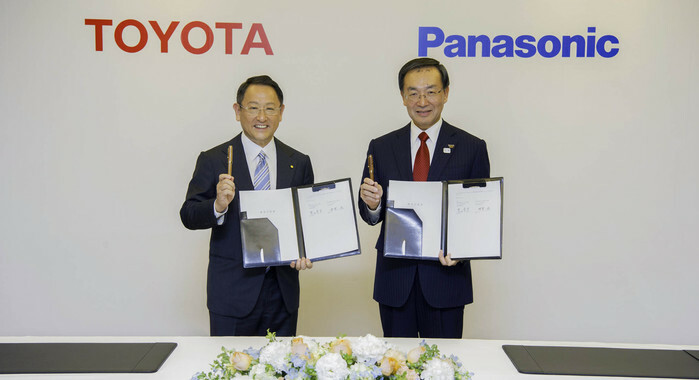 Toyota Motor Corporation and Panasonic Corporation have announced that they are considering the feasibility of a joint company to explore the scope of the automotive prismatic battery business. With billions now being spent on further development of electro-mobility, both the companies would benefit significantly if the idea proves to be viable. This agreement between the two companies can help them to work jointly on solutions that can alleviate key issues like toxic emissions, global warming, overuse of natural resources and energy security. This agreement will also lead to measures that can help them cater to the growing demand for electrified vehicles. The two companies are likely to work on further technological innovations when it comes to automotive batteries, which are highly important when it comes to electrified vehicles. Toyota and Panasonic began collaborating on various projects as far back as 1953, and having constantly helped each other to optimize their manufacturing capabilities. The automotive sector and the business environment is undergoing a period of major change, and both companies have recognized the need to team up with trusted partners in order to enhance their contributions to the world and to unlock value. As part of its drive to help realize sustainable mobility society, Toyota launched the Prius, which was positioned as the first mass production hybrid vehicle (HV)in the world, in 1997, and the Mirai fuel cell vehicle (FCV) in 2014. The company has now gained significant expertise in both hybrid and hydrogen fuel cell technology and is working on the development of a full range of environmentally friendly vehicles including HVs, PHVs (plug-in hybrid vehicles), FCVs, and EVs (electric vehicles) that will suit the lifestyles of different types of customers across the world. One of Panasonic’s main businesses is automotive lithium-ion batteries and the company’s automotive batteries are used by many automakers worldwide. The company is working on further enhancing the safety and capacity of its automotive prismatic batteries, leveraging its accumulated technological knowledge in the battery business. Both companies recognize that further advancements in battery performance, price and safety, as well as a stable supply capacity, will help make electrified vehicles more popular.